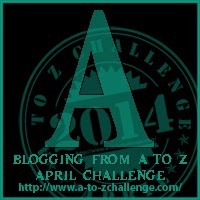 I’m participating in a blog challenge where every day this month I will be posting on a topic that begins with the letter of the alphabet. Today’s letter is A.
There’s a famous saying “Abs are made in the kitchen” and they are. If you are exercising hard but not eating right – you will not see your ab muscles pop through the fat. Remove the layer of fat covering your ab muscles with the 3 activities listed above and you will be sporting envious visible abs in no time. Also read my Naked Me Tea 14-Day Detox review where I share how drinking that tea helped to flatten my stomach, lose inches around my waist and lose weight overall. There’s a coupon code included to save 15% off of your total order. While you are working on defining your abs and slimming your waist with these tips, why not look good with these fitness fashion finds and check out these cute and stylish Infusion Water Bottles with Drink Tracker to help you stay on top of your hydration. We have cute tees too! Thank you for stopping by. Like this post if you found it helpful. Share this post with others if you think it would be helpful. Disclaimer: I am not a certified fitness professional, physician or nutritionist. I am simply sharing what I have learned and been taught by said professionals. Please do your own research before starting any fitness or diet program. 5 Replies to "How To Get Visible Abs"
I’ve been doing sit ups and though my abs are peeking out yet may waist did shrink an inch over this last 2 weeks. hoping I’ll see them soon. That is great Becca. Crunches are good but remember to mix up the exercises for well balanced abs. Me too Lex. Summer is right around the corner.